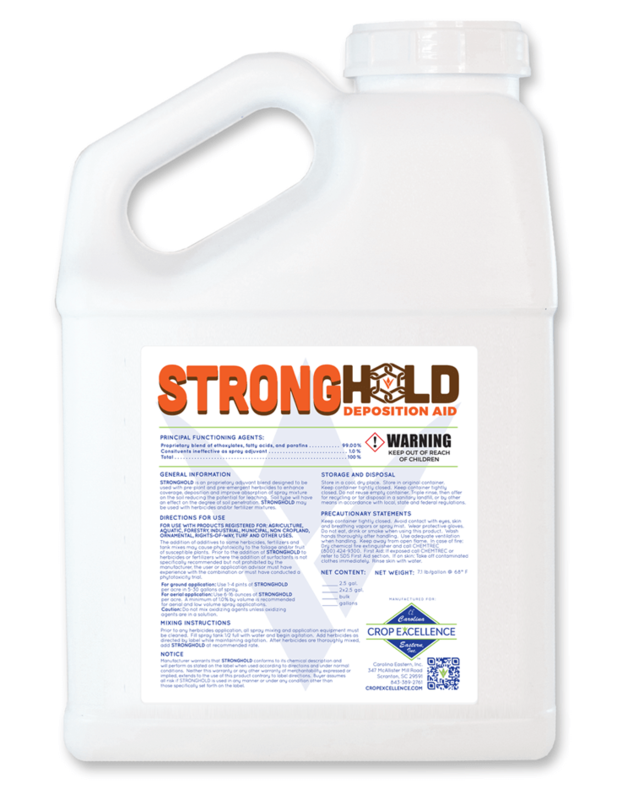 STRONGHOLD is a proprietary adjuvant blend, designed to be used with pre-plant and pre-emergent herbicides to enhance coverage, deposition and improve absorption of spray mixture on the soil reducing the potential for leaching. 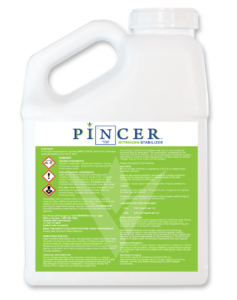 Soil type will have an effect on the degree of soil penetration. 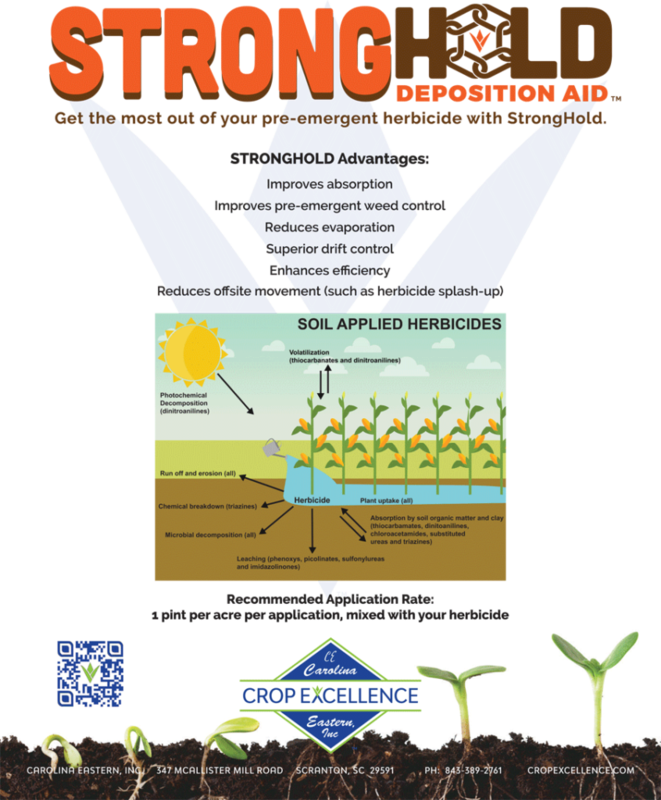 STRONGHOLD may be used with herbicides and/or fertilizer mixtures. 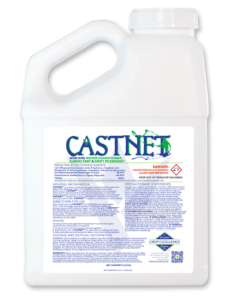 Use 1 – 4 pints of STRONGHOLD per acre in 5 – 30 gallons of spray. 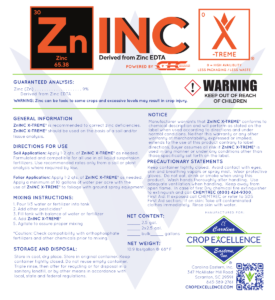 Use 6 – 16 ounces of STRONGHOLD per acre. 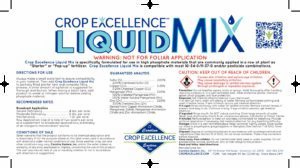 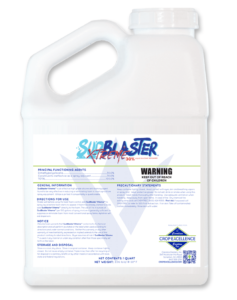 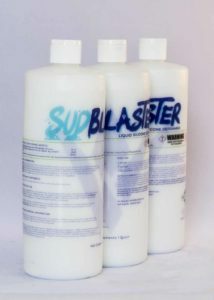 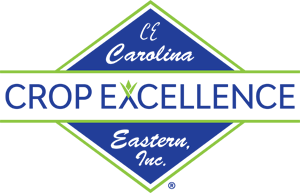 A minimum of 1.0% by volume is recommended for aerial and low volume spray applications.